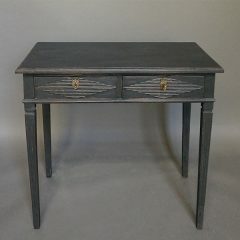 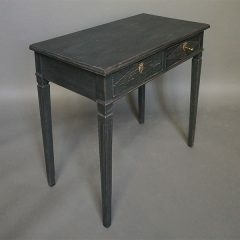 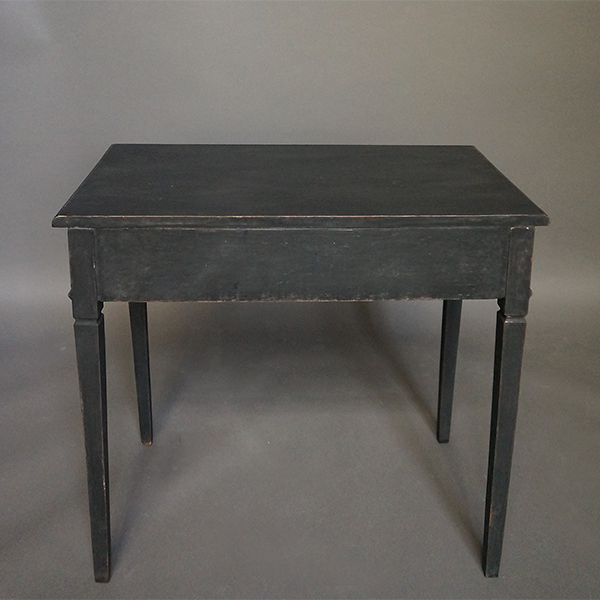 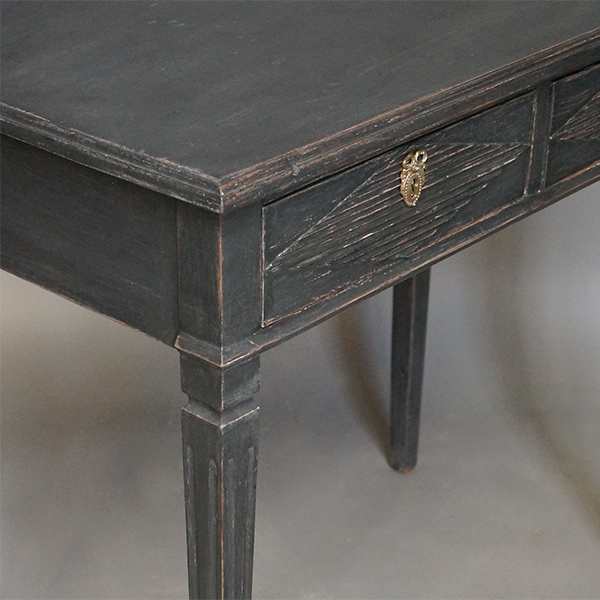 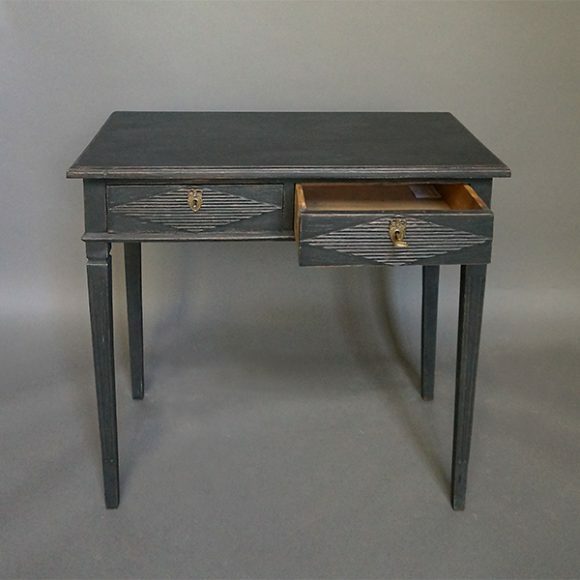 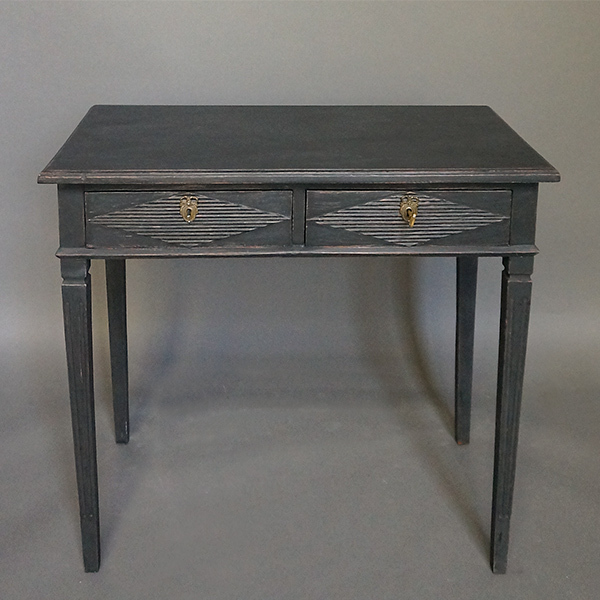 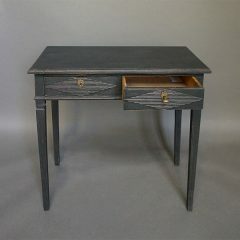 Swedish writing desk in the Gustavian style, circa 1850. 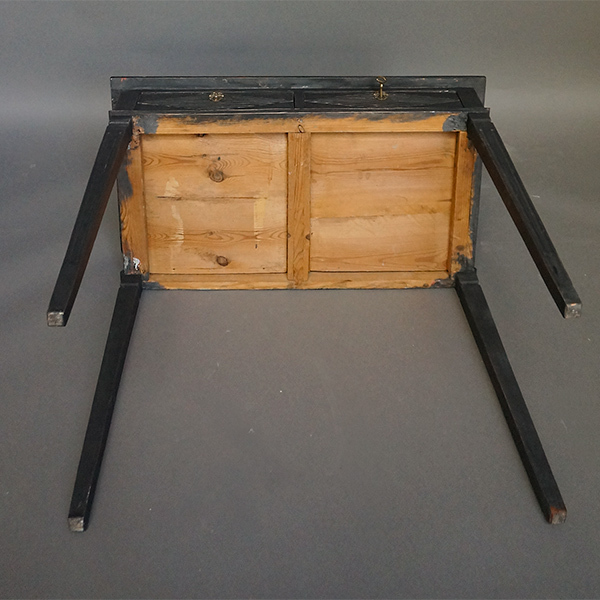 Two drawers with raised and reeded lozenges. 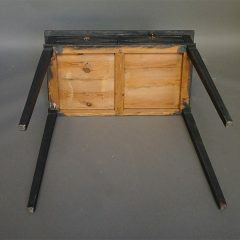 Tapering square legs.